Link Interactive sells security systems for homes and also provides the professional monitoring to complement the equipment. This company stands out for competitive pricing that’s ala carte so you can decide what you are paying for and what equipment is unnecessary for you. Link Interactive is also the only DIY company that offers home automation features, alongside its equipment lineup. 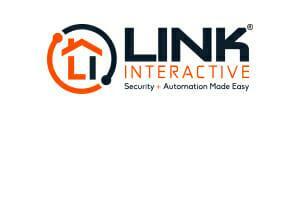 Is Link Interactive the right home security system for you? Find out with this in-depth analysis of the company and everything it offers. Get in touch with Link Interactive representative to get more details. Link Interactive is easily the most competitively priced home security system on the market. It keeps its prices down by offering DIY-only installation, alleviating pricey home visits from professionals. With three plans available, each focusing on its own features, Link Interactive delivers value for your money at every security level and pricing bracket. What’s even more remarkable is the number of features you can get for your money. Nobody else offers as many features for such a low price. The competition will either cap certain home automation features, deactivate several of the built-in features that the panel has to offer, or have hidden fees and extra costs for add-on services. Link Interactive is both transparent with its pricing and reasonable. Additionally, Link Interactive offers customers a 30-day money back guarantee. If you aren’t satisfied with your equipment or service, you can return it for a full refund. Link Interactive will even cover the return shipping. All plans also come with a full 3-year warranty on all equipment. The idea is to offer customers the ability to tailor their packages to what is really important or worthwhile to them instead of forcing them to deal with what comes with a package or pay more for a more inclusive package that comes with a lot of unnecessary items. The biggest drawback to DIY home security is that you don’t get the assurance of external monitoring. What we really liked with Link Interactive, is that you get the best of both worlds: professional home security products and monitoring at a reasonable price. Using Avantguard Monitoring Centers across Utah and Idaho, Link Interactive’s response time averages about 20 seconds from when the security alarm system goes off. What’s even more amazing about this company’s live monitoring is the Smash and Crash feature. If someone destroys or damages your alarm system, the authorities will be notified immediately and dispatched to your home. The live video feed is another impressive feature of Link Interactive. You won’t get it at the basic level, but for many homeowners, it’s well worth the additional few dollars for all that you are getting. Live video feeds include access to a doorbell camera so you can see who is at your front door when they knock, video recording activity in and around your home, and saving data. With the smartphone app, you can connect your video feed to your cellular device (smartphone or tablet), set up triggers to automatically start recording, and watch your home from anywhere in the world. Video feeds can be saved so you can review them later, even if you don’t have an internet connection. This is plainly one of the best features, and Link Interactive’s feed is clear, easy to set up, and well worth the upgrade. With everything from light switches to ovens shifting towards smart alternatives, Link Interactive takes homeowners and renters one step further by offering home automation that is linked to their home security products as well. What this company has really done well with its smart home security systems is the integration. Every part of your smart home is synced with the alarm system, so you have total connectivity and total control. Not only is this more secure, giving you the ability to know when something is happening inside your home, but it is also more convenient and economical. Control thermostats, lights, door locks, garage doors, and more with the smartphone app. Link Interactive offers some of the best value for money you’ll find. Not only does it offer three competitive pricing plans to choose from, but you’ll be able to test drive the system for 30 days risk-free. You can opt for the simplest plan for the lowest price range, and add features as the price graduates as well. Safety isn’t just about deterring burglars. Good alarm systems for homes will include environmental sensors to warn you when you are in danger. Link Interactive offers a range of detectors including smoke, flood, and freeze sensors, so you and your family are alerted when something goes wrong around the house. This is helpful whether or not you are home, and it can save you considerably both financially and physically. Another feature we really enjoyed from Link Interactive is the 2-way voice communication. This is an added layer of security, giving you the ability to speak directly with a security agent, and it’s also a faster and more convenient way of communicating your needs. With any of the packages, you’ll get a basic control panel, one motion detector, and three entry sensors that you can attach to either windows or doors. If you want a touchscreen, that’s available for $200 as well. Other than those items, Link Interactive gives you the option of which devices you want to purchase. The comprehensive online checkout system and super transparent pricing structure let you easily select the devices you want, put them in your cart, and checkout in a matter of minutes (assuming you know what you want). If you don’t know which devices you should get, you can speak to a customer service representative, and they will give you honest and practical advice. Link Interactive isn’t about upselling or persuading you to buy items you don’t need, so that’s a comfort in a fairly pushy industry. A primary selling point of a Link Interactive security alarm system is that it is completely DIY. That being said, this company is known throughout the industry for having some of the best customer support agents, and they are always around if you need help getting things up and running. Altogether, set up really should only take a few minutes. After that, the system pretty much runs on its own. You can connect any of the equipment via the Alarm.com app. Sensors that run on battery have a low battery indicator that will flash when you need to change the batteries. These are standard types that you can get at any hardware store, and they usually last between 5-7 years. All Link Interactive equipment comes with a 3-year product warranty. For all installation or maintenance issues, Link Interactive customer support is available to help, and they’re friendly and helpful when you need them. Link Interactive provides homeowners and renters with great security systems for homes of any type. Offering transparency, top notch customer service, highly affordable packages, and ala carte pricing, Link Interactive is a prime candidate for best DIY home security system out there. If you are totally inept with a screwdriver, you might be turned off by the lack of professional installation, but more than 92% of Link Interactive customers found the installation to be a snap. If you’re searching for an affordable option that provides solid security systems for homes of every size and type, Link Interactive is an excellent choice to consider.